Corner Of Green Street And Lynn Fells. 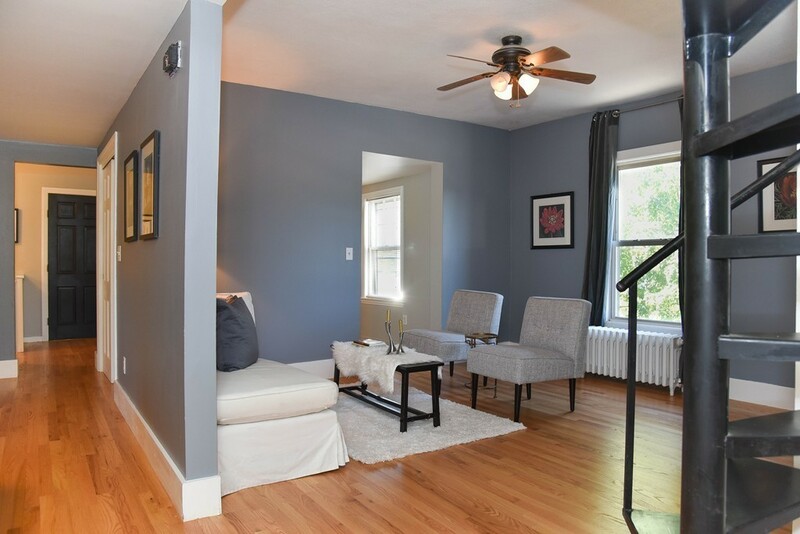 Beautifully updated condo in a prime downtown Melrose location situated conveniently between Whole Foods and the historic district nearby Ell Pond. The unit boasts new hardwood floors throughout the main living level, fresh paint and a open layout. Kitchen has new quartz counters and backsplash, updated appliances and large island which opens into the dining room. Updated bath with high end tile finishes. Master Bedroom on main living level, with two additional bedrooms on the third floor. Laundry in unit, three car parking, and fenced yard with pet friendly association makes this a rare find. Close to all that Melrose has to offer: shops, restaurants, cultural amenities and greenbelt. Short hop to the commuter rail which brings you to North Station in 13 minutes and convenient walk to downtown. Simply turn-key! new condo conversion, taxes are estimated.